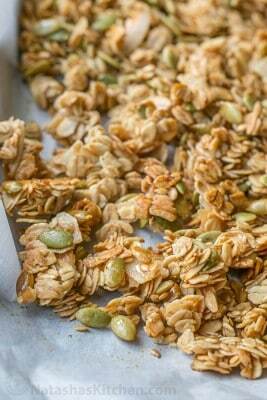 This homemade pumpkin flax granola recipe is loaded with good things and sweetened with honey. This homemade granola is crunchy, chewy, clustery and satisfying! We’ve recently been cutting back on our sugar intake (carrot cake excluded ;)). In paying close attention to nutrition labels we noticed something that was a major bummer; our favorite organic granola had cane sugar as the second ingredient (ingredients are listed in order from the most to the least so the second most substantial ingredient in our boxed granola was sugar). Organic does not always equal healthy. 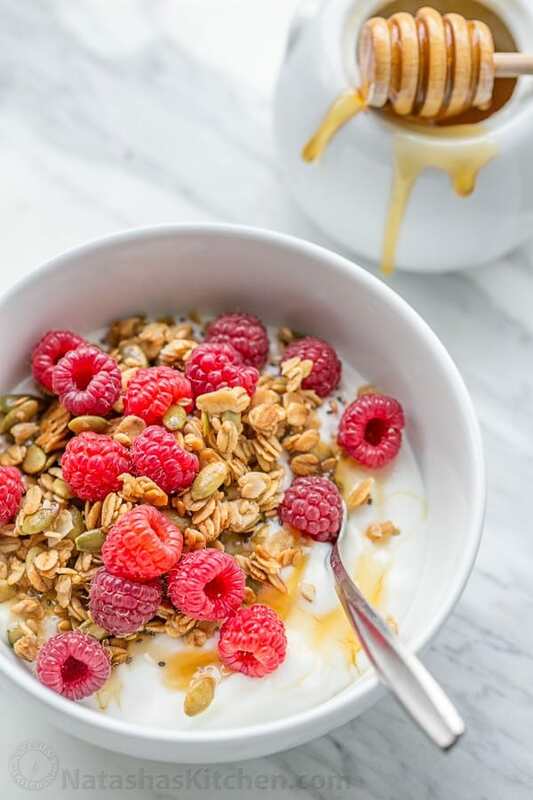 My hubby and I were so bummed because one of our go-to breakfasts is what you see above (plain Greek yogurt with a drizzle of honey, chia seeds, granola and fresh fruit. Without the granola there was a void and the yogurt didn’t keep me full very long. I searched high and low for a healthy substituted because I wasn’t ready to give it up. Bag after bag had loads of added sugar and preservatives. So this pumpkin flax granola recipe was born ♥. P.S. 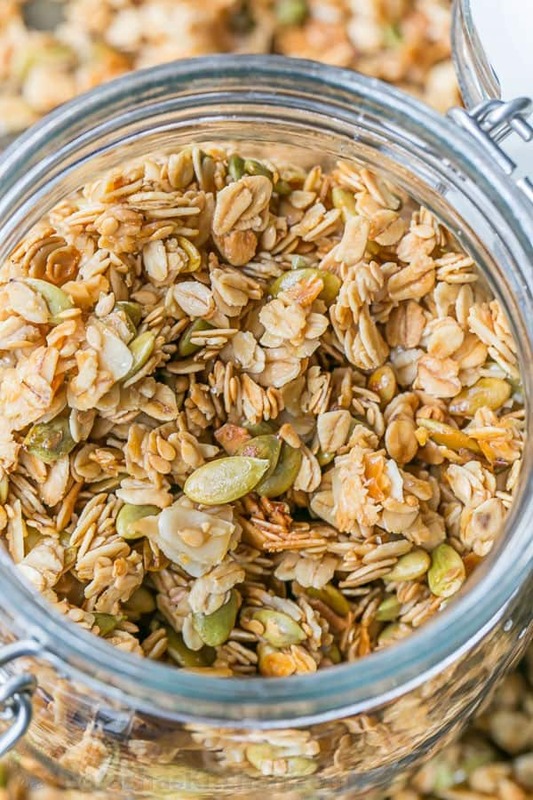 This granola stores well in an airtight container at room temperature. The ingredients are simple and so good for you! No store-bought granola can touch this because everything in the store has either a mile long list of ingredients or is laden with sugar. With this homemade granola, what you see is what you get. You know exactly what goes into it! We use the old fashioned rolled oats pictured below (whole grain and Bob’s Red Mill brand). We also prefer using coconut oil because it adds great flavor. 1. 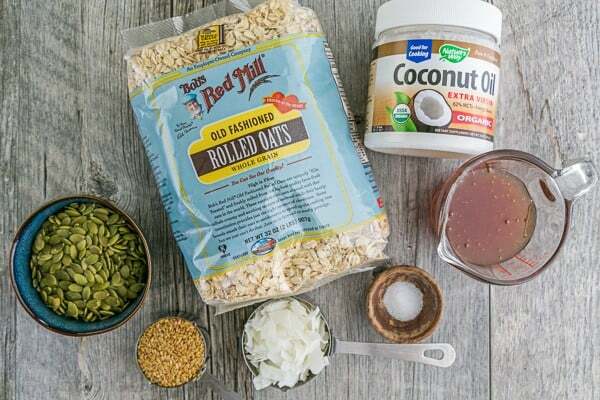 In a large mixing bowl, combined 3 cups rolled oats, 1/2 cup coconut flakes, 1 cup pumpkin seeds and 1/4 cup flax seeds. 2. In a second bowl, stir together 1/4 cup honey, 1/4 cup of maple syrup, 1/4 cup coconut oil and 1/2 tsp salt. 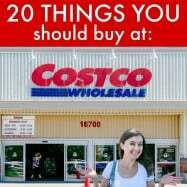 They will combine easier if you heat them in the microwave 15-30 seconds. 3. Drizzle the liquid mixture over the dry ingredients and gently toss/stir until evenly coated. 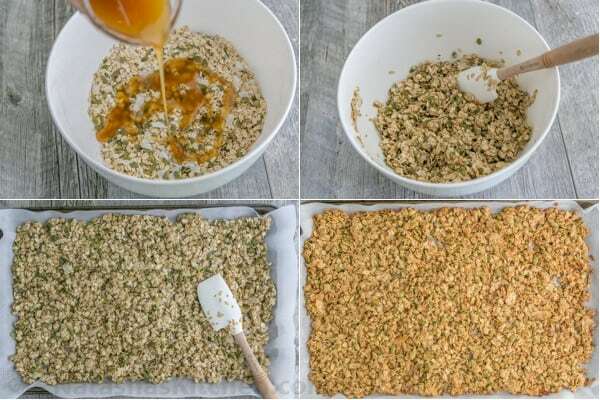 Spread onto a large 3/4 baking sheet lined with parchment paper and bake at 325 for 18-20 min, stirring once halfway through for even toasting. Remove from the oven and let cool completely then crumble with your hands and store in an airtight container at room temperature. 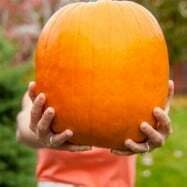 This pumpkin flax granola recipe is loaded with nutritious good things and sweetened with honey. It's crunchy, chewy, clustery and satisfying! 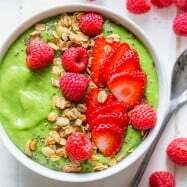 It is perfect for yogurt, smoothie bowls and snacking. Preheat oven to 325˚F. 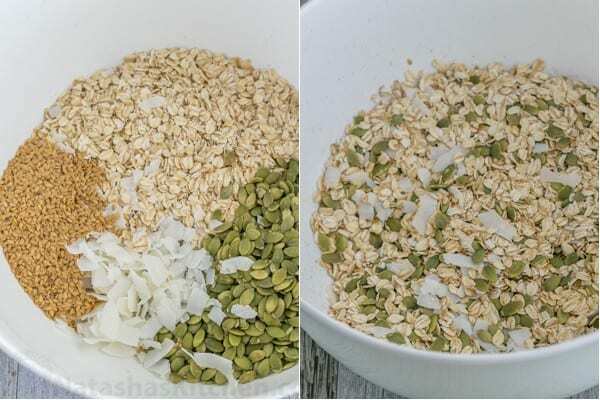 In a large mixing bowl, combined 3 cups rolled oats, 1/2 cup coconut flakes, 1 cup pumpkin seeds and 1/4 cup flax seeds. In a second bowl, stir together 1/4 cup coconut oil,** 1/4 cup honey, 1/4 cup of maple syrup, and 1/2 tsp salt. They will combine easier if you heat them in the microwave 15-30 seconds. Drizzle the liquid mixture over the dry ingredients and gently toss/stir until evenly coated. 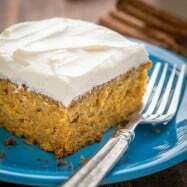 Spread out onto a really large 3/4 baking sheet lined with parchment paper and bake at 325˚F for 18-20 minutes, stirring once halfway through baking for even toasting. Remove from the oven and let cool completely then crumble with your hands and store in an airtight container at room temperature. 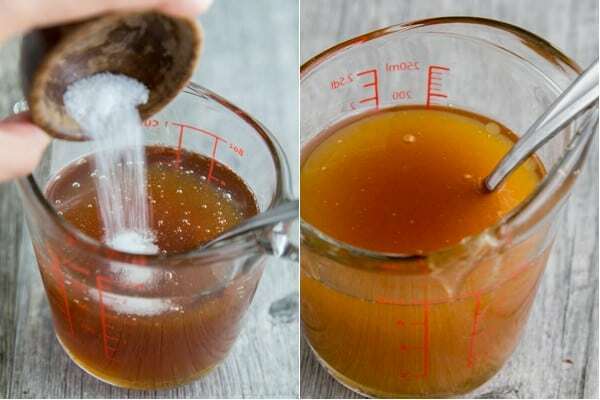 **Measure coconut oil first then measure honey in the same cup. The oil coats the cup so the honey slides out easily. 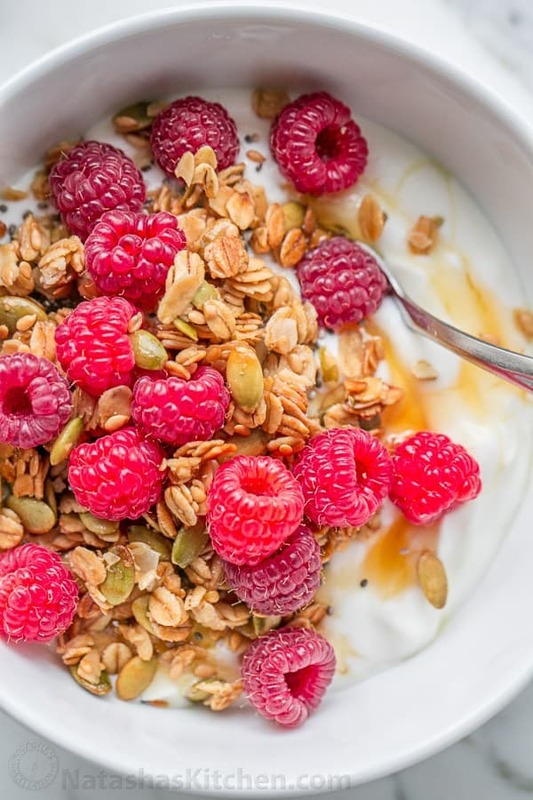 How do you eat your granola? I just want to make sure that I understand correctly….you measure the coconut oil first and then heat up in the microwave right? 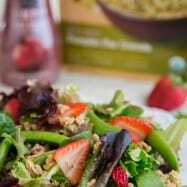 This is my go to recipe for granola every time! It’s so addicting! I do have times when the granola comes out wet, so I let it bake a few minutes longer (sometimes an extra 10 minutes does the trick). Is there anything to replace the honey with? Almonds yum! I’ll try next batch. Should I toast them first? No need to toast them first. 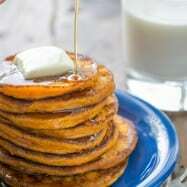 They are toasted perfectly on the pan with the rest of the ingredients.